As a Dallas-Fort Worth motorcycle accident lawyer, I know that motorcyclists take a risk every time they leave the house. The federal government estimates that motorcyclists are 30 times more likely to die in a wreck than car passengers are, and it's no secret why. Motorcyclists are exposed and vulnerable, especially on busy highways at high speeds. A single mistake can lead to catastrophic injury or death. If someone you love has been killed in a Texas motorcycle accident caused by another driver, it's important that you consult with a board certified personal injury and wrongful death lawyer to discuss your legal rights and options. You may be entitled to make a survivor’s claim for compensation against the at-fault motorist’s auto insurance. Pursuit a wrongful death claim won't bring your loved one back, but it's a way to compensate you and your family financially for your loss. It's meant to protect you from the financial burden that comes with a lost family member who might have been the breadwinner or caretaker of the children. A wrongful death claim will also reimburse you for any medical costs incurred by your deceased relative as a result of their injuries. Likewise, a wrongful death claim does not penalize the negligent driver who was responsible for their death. If there are ground for criminal charges, then those criminal proceedings will occur separately from a civil wrongful death lawsuit. As you probably guessed, each wrongful death case is different and therefore each is worth a different amount. However, there's a simple formula that can be used to estimate how much you'll receive from a wrongful death settlement. This is past medical bills + past lost wages + future lost wages + pain and suffering + fault. As we've mentioned, medical bills are recoverable through a wrongful death claim. If your loved one was sent to the hospital before their passing, any bills they incurred can be repaid. 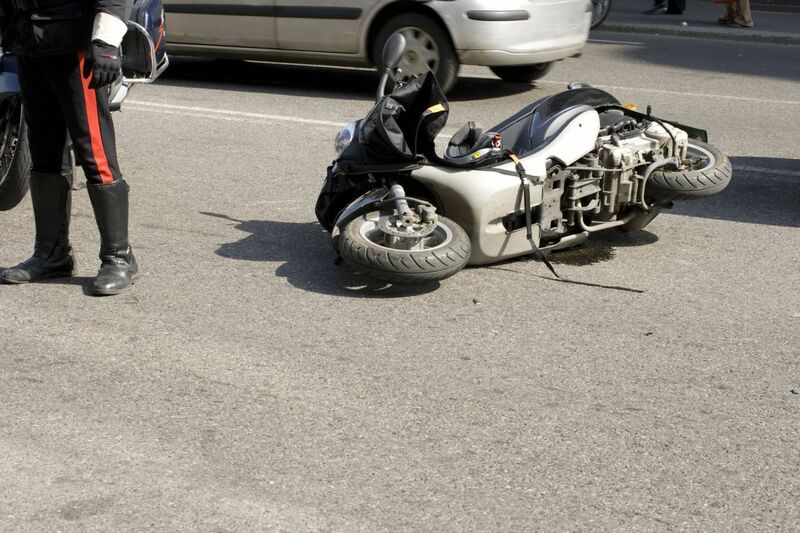 Not all motorcycle accidents end in a quick death. Sometimes, a patient will remain at the hospital for days or even weeks as doctors try to save their lives. Of course, during this time they're not able to work, and families who rely on their loved one for income will suffer financially for it. If the motorcycle wreck victim dies, families then also must bear the burden of a lost earner. With the right attorney, you'll be able to recover compensation for all lost wages, both past and future. Here at the Anderson Law Firm, one of the greatest contributing factors to a wrongful death case is pain and suffering. When families lose a loved one in a tragic accident, no amount of money can make it right, but compensation for pain and suffering is meant to help victims find justice through the legal system. Unfortunately, most at-fault drivers don't want to admit they caused a wreck, especially if that wreck killed someone. If there's a dispute on who caused the accident (or it's determined that there was joint fault for the wreck), this will decrease the amount of money that can be awarded to you. Contact the Anderson Law Firm in Fort Worth to consult with an experienced motorcycle wrongful death lawyer today. Please call us at 817-294-1900.